Manufactured Home Loans - Associates Home Loan of Florida, Inc. There are some unique restrictions and stipulations to consider when it comes to finding financing for a manufactured home. Manufactured homes are a great prefabricated housing option for many people. There are several home loans that are suitable for these homes, both conventional and nonconventional options. In this week’s blog from Associates Home Loan of Florida, Inc., we’ll discuss the different financing options available to you through manufactured home loans. If you’re interested in purchasing a manufactured home in Tampa, Sarasota, Orlando or nearby Florida, we’re here to help. Conventional loans, which are privately funded and insured, have some of the most competitive interest rates among other types of financing. You can get a conventional loan for a manufactured home, but they have strict qualifying requirements. If you have a good credit score, a low debt-to-income ratio, and can raise a 20% down payment, you should consider conventional financing. In addition, the property you are purchasing must meet certain guidelines; for example, it must be permanently affixed to the ground and at least 400 square feet. If your manufactured home is on wheels or small, you may instead need to finance it as personal property. Nonconventional loans are financed by private lenders but insured by various divisions of the federal government. The Federal Housing Administration (FHA), United States Division of Agriculture (USDA), and Veterans Administration (VA) each offer financing for manufactured homes. The FHA insures qualified applicants for manufactured home loans through the Title I program. These are typically 20-year, fixed-rate loans that may be used to purchase a manufactured home, a lot on which to place the home, or both. The USDA Single Family Housing Guaranteed Loan Program may be used to finance certain brand-new manufactured homes on permanent foundations. There are certain geographic and income restrictions to consider for USDA loans. The VA guaranteed loan program may be used to purchase a manufactured home, although rates may be higher than for traditional homes. These homes must be affixed to a permanent foundation and conform to minimum property requirements. Nonconventional home loans typically have less stringent credit requirements than conventional home loans. They also have much lower down payment requirements. VA and USDA loans have no down payment requirement, while FHA loans range from 3.5-10% required down payment. They may have higher interest rates than conventional loans, however, so many clients choose to refinance after a few years. 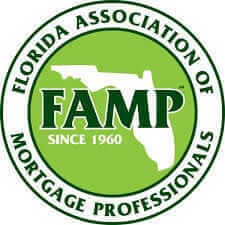 If you’d like to learn more about manufactured home loans in Tampa, Sarasota, Orlando, or surrounding Florida communities, contact Associates Home Loan of Florida, Inc. Our mortgage specialists have extensive experience with alternative home financing solutions, and we would love to help you. Contact us today for a free quote and consultation.